At Sundance 2013, actress/producer Grace McPhillips decided to make a new movie. At the very next year’s Sundance, she’d not only completed the award winning film THE OTHER ONE, she was also asked to present on the making of it (10 months concept to completion) at the Sundance and Cannes 2014 Film Festivals. This year, she’s back at Sundance 2015 to share the innovative upcoming projects for her Chicago-based film company Sterling Rock Productions, and to lead a panel of outstanding women on a topic making waves in the press: the investment potential of female filmmakers. After touring her feature THE OTHER ONE to ten festivals, winning several awards, and being selected as an Audience Choice Nominee at the prestigious 50th Anniversary Chicago International Film Festival, McPhillips is taking it on an unusual tour of churches and interfaith centers. The feature’s simultaneously-created prequel short film, ECLIPSE, world premiered at the Cannes Short Film Corner and will begin a tour of middle and high schools in 2015. Both films go into wide release this summer. Sterling Rock Productions’ mission is making “Media that Matters,” and these films deal with the difficult topics of school shootings, care for the elderly, and dementia. At 11am on Monday the 26th, join Sterling Rock Productions as McPhillips reveals her next two fiction features and a dramatic series in development. BEAUTIFUL LITTLE FOOLS tells a dual-storyline inspired by the legendary Zelda Fitzgerald. Screenplay writer Carrie Stett will speak on the film’s longterm collaborative process and share a teaser concept for the feature. WILDERLAND ROAD is a thrilling drama examining judgement, rural gentrification, and socio-economics. Attached director Montana Mann, selected by Shoot Magazine as a Director to watch for and one of the youngest women to be accepted into the DGA, will also share her vision for the film. The developing series is a modern adaptation of Upton Sinclair’s monumental novel, THE JUNGLE. The gender bias in Hollywood remains, as evidenced in this year’s oscar nominations, but the movement towards parity is growing and the numbers are proving investors should take note. Despite half of moviegoers being females, conventional Hollywood thinking has mistakenly avoided telling female stories on the theory that they’re not universal. With the 2014 acclaimed filmmaking successes of Reese Witherspoon and Bruna Papandrea's WILD and GONE GIRL, Ava DuVernay's SELMA, plus the huge box office successes of THE FAULT IN OUR STARS, $300.2 Million Worldwide, with a reported 82% female audience, and MALEFICENT, earning a whopping $757.8 Million, female filmmakers and female storytelling is proving to be a very worthy investment. At 1pm, just following the unveiling of future projects, stay with Grace McPhillips as she leads an esteemed panel; Julie Parker Benello (Co-Founder of Gamechanger Films/Chicken and Egg Pictures), Nina Yang Bongiovi (Producer, SONGS MY BROTHER TAUGHT ME and DOPE, both in competition), Angela C. Lee (Producer, SONGS MY BROTHER TAUGHT ME and Artist Development Manager at Film Independent), Michele Turnure-Salleo (Producer/ Director of Filmaker360 at San Francisco Film Society), and Jennifer Phang (Director of ADVANTAGEOUS, in competition, and SFFS Filmhouse Resident). The panel discussion will bust the myths still alive in Hollywood, and explore the reasons why female filmmakers are great investments- something the Sundance Festival has always stood behind. MONTANA MANN is an award winning director with a BFA in film from the prestigious Art Center College of Design. Her strong conceptual visual style drew the attention of professionals at a young age as she is now one of the youngest females to ever be accepted into the Directors Guild of America (as a director). She has won awards and nominations for her short films, DANGEROUSLY CLOSE and UPSTAIRS, as well as for her commercial work including best in show at the Addy Awards, La Femme Film Festival and she won the AT&T competition at Cannes Lion. In addition her work has been nominated at such prestigious festivals as Hollyshorts, Le Femme Film Festival, and was an Emmy finalist as well, catching the eye of Shoot Magazine as a new up and coming Director to watch for and was recently nominated in Cannes 2014 for the Young Director Award for her commercial work. CARRIE STETT is a Writer, Producer and Director based in Los Angeles. Her background is in reality and lifestyle programming on shows for networks including The Disney Channel, ABC Family, ABC, PBS, Sky Living UK and Tennis Channel. She is also very active in digital content creation, having written, produced and directed series for Univision FLAMA, Yahoo! and YouTube. Her Univision docu-series DROP THE MIC WITH BECKY G was nominated for a 2014 Cablefax Award. As a writer, Carrie’s original comedy screenplay MILFS was a 2012 Austin Film Festival Semifinalist and a 2013 Screencraft Pilot Launch contest Finalist. She has also worked with numerous brands such as Revlon, Dior, IKEA, Hearst Magazines and US Cellular, and she recently directed commercial ads for JCPenney. 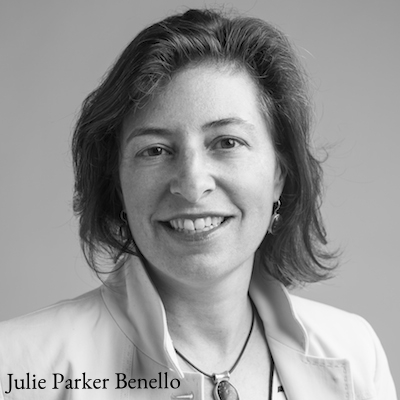 JULIE PARKER BENELLO’s work has always been driven by a shared belief in the power of women storytellers to build and sustain movements for justice, equity, and health. Julie co- founded Chicken & Egg Pictures with Judith Helfand and Wendy Ettinger in 2005 to match strategically timed grants with dynamic mentorship and creative collaboration focused on story, craft, and community engagement for women documentary filmmakers. She is Founder and Managing Director of Gamechanger Films, a newly launched equity fund that is actively investing in a slate of independent narrative films by women directors. Gamechanger’s first film LAND HO! by Martha Stephens and Aaron Katz premiered at Sundance 2014 and was released by Sony Pictures Classics this summer. Julie previously served as Executive Producer on Jill Soloway’s 2013 Sundance award-winning debut feature, AFTERNOON DELIGHT (Cinedigm/ Film Arcade 2013); Dee Rees’ feature PARIAH (Focus Features 2011); and Leigh Janiak’s debut feature film, HONEYMOON (SXSW 2014/ Magnolia). She also co-produced the 2002 Sundance award-winning documentary, BLUE VINYL (HBO 2002), directed by Judith Helfand. Earlier in her career, she served as a Production Executive for the distribution company Non Fiction Films and as an archival researcher for the Discovery Channel series “Cronkite Remembers.” Julie is a member of the Board of Directors of The Global Fund for Women and The San Francisco Film Society. 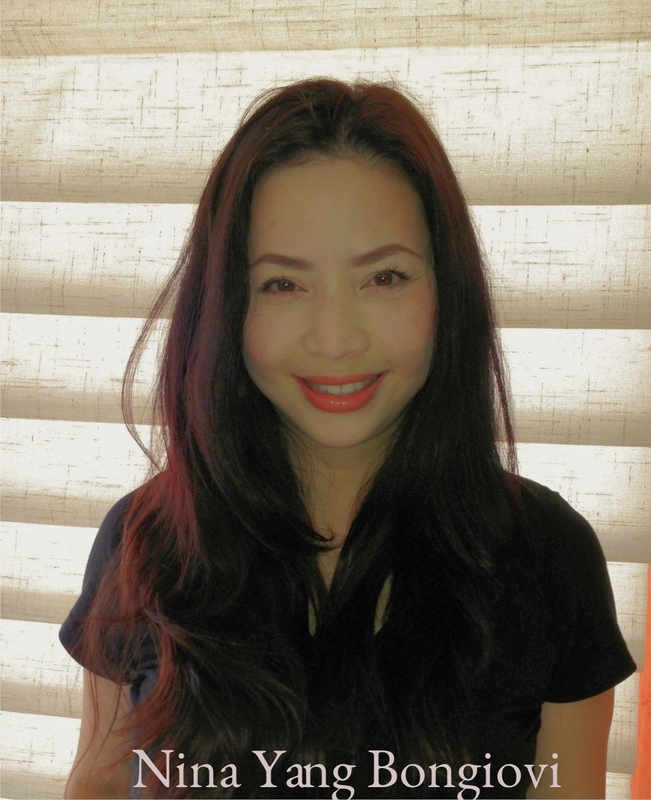 NINA YANG BONGIOVI is a seasoned film professional with over 15 years of combined production, finance and management experience in the entertainment industry between Hollywood and Asia. Nina develops/creates business strategies and alliances covering feature films, television, documentaries and new media with domestic & global strategic partners for Forest Whitaker's Significant Productions based in Los Angeles. Nina and her producing partner, Forest Whitaker, produced Ryan Coogler’s FRUITVALE STATION which was the winner for both The Audience and The Grand Jury Prize at the Sundance Film Festival 2013, Cannes Film Festival’s winner of the L’Avenir Award (2013) and was released theatrically by The Weinstein Co. This year she and Whitaker produced SONGS MY BROTHER TAUGHT ME and DOPE which are both in the U.S. Dramatic Competition at the Sundance Film Festival 2015. 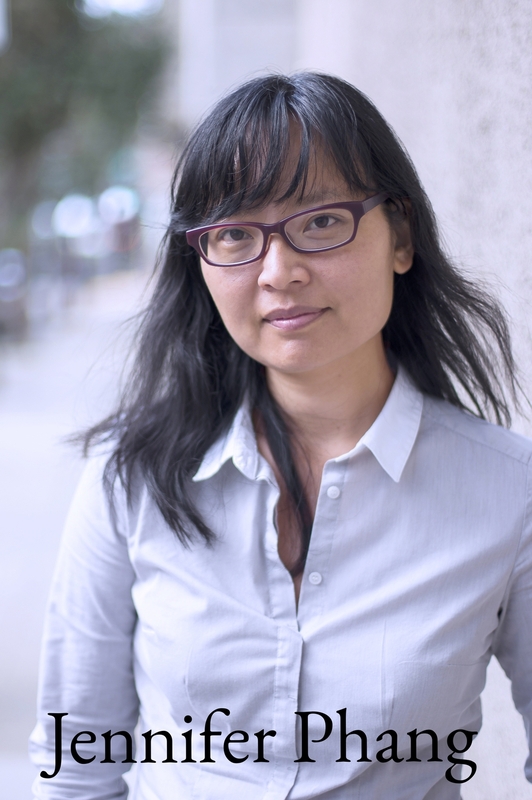 ANGELA C. LEE is the Artist Development Manager at Film Independent, where she oversees the selection process and curriculum for the Filmmaker Labs, including Screenwriting, Directing, Producing, and Documentary Labs, and the Fast Track Finance Market. Angela also curates the final pool of applicants considered for the Fox Writers Intensive and Fox Global Directors Initiative, in partnership with Fox Audience Strategy, in addition to co-managing the Fox Writers Intensive curriculum and program with Fox. Angela is also an independent film producer. She is a Film Independent Fellow, an IFP Narrative Lab Fellow, a Sundance Creative Producing Summit Fellow, and a recipient of the inaugural Center for Asian American Media Fellowship. She is currently in post-production on her first feature film, Songs My Brothers Taught Me, which will premiere in competition at Sundance. Previously, Angela served as Director of Creative Affairs at Vox3 Films in New York. Prior to her career in film, Angela was an Associate at Goldman Sachs. A native Chicagoan, Angela graduated from the University of Chicago with a degree in Economics and is on the Board of Directors for the University of Chicago National Arts Alumni Network. MICHELE TURNURE-SALLEO is the Director of Filmmaker360, San Francisco Film Society and is a producer with over 18 years experience in the United States, Australia, France and Canada. As head of Filmmaker360, Turnure-Salleo oversees major grants, the FilmHouse residency program, the Producers Initiative and project development programs. From 2009 through 2014, the Filmmaker360 grants programs have provided more than 2.5 million dollars in funding to incubate and support innovative and exceptional films such as CIRCUMSTANCE, BEASTS OF THE SOUTHERN WILD, FRUITVALE STATION, SHORT TERM 12, LOVE IS STRANGE, HELLION, TEST, MANOS SUCIAS, MOSQUITO Y MARI, CUTIE AND THE BOXER, and AMERICAN PROMISE amongst others. JENNIFER PHANG’S sophomore feature ADVANTAGEOUS will have its world premiere competing in the U.S. Dramatic Competition at Sundance 2015. Her award‐winning debut feature HALF-LIFE premiered in 2008 at the Tokyo International and Sundance film festivals. It screened at SXSW and was distributed by Sundance Channel. She was invited to Sundance Institute Screenwriters Lab and was awarded a San Francisco Film Society/Kenneth Rainin Foundation FilmHouse Residency and Sundance Institute Feature Film Grant. The Berkeley-born daughter of a Chinese-Malaysian father and Vietnamese mother, Phang graduated from the MFA directing program at the American Film Institute.